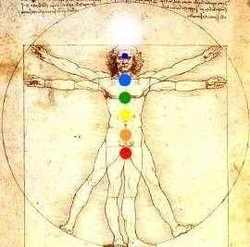 guidance from intuition and the Innate Wisdom of the body, a wisdom which makes special use of the brain to repair and balance, and of the heart to store the memory of balance. Under healthy circumstances, when a stress occurs, Innate naturally kicks in and, with the help of brain and heart, rebalances the system and restores harmony on its own. But when there is a communication breakdown, the parts forget how to work as a team and become less flexible. BodyTalk© can help the body, mind, and spirit remember how to heal. Learn how to balance your brain using a simple BodyTalk technique. Click to view a 9 minute video. Learn more about BodyTalk by clicking here (or go to www.bodytalksystem.com). Find out about BodyTalk events in Michigan by clicking here, or go to BodyTalk Michigan on Facebook. Qualifications in brief: I am a certified BodyTalk® Practitioner (CBP), which requires passing an exam covering theory and practice at 90%, and carries with it a responsibility for significant continuing education. I have trained in all of the fundamental and advanced modules of the BodyTalk® system and in supplemental aspects of the system, and have used it extensively in my practice and in my personal work.